The Humble Indie Bundle 8 is in full swing, so this week we discuss some of the games we've been able to play so far. 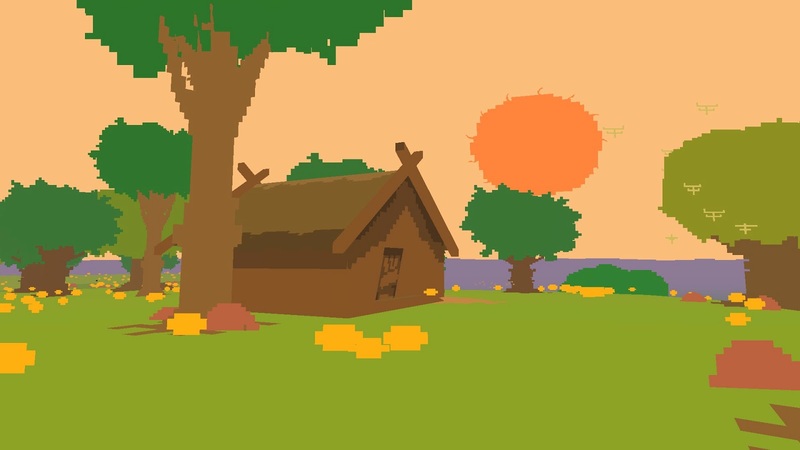 The bundle's wide range of games means we discuss everything from the competitive, skill-driven systems of Awesomenauts and Hotline Miami to the experiential, story driven environments of Proteus and Dear Esther. At the risk of sounding like an advertisement, the Humble Indie Bundle is a great buy for both economic and philosophical reasons: you pay what you want (or what you can) and you support independent, DRM-free games that also happen to be some of the more thought-provoking games on the market. Alright, enough schilling. As always, feel free to jump into the comments with your thoughts. Great show, guys. I also partook of the HB, and I've been slowly going through the games. I played through Thomas Was Alone with my son. He's 6, and he was absolutely enthralled by the story. Having names assigned to the cubes by itself was great, because we were able to discuss strategies much easily. It's funny to think of how much personality a name by itself can convey. And when something that has a name sacrifices for the greater good, it's Chris and Laura's life story that take a tragic turn, not yellow square and pink rectangle. I felt the connection between the abilities of each rectangle and their personality that Jorge mentioned is there, too. Also, it's a great platformer for a kid that is not the best at platformers: it teaches momentum and strategy, but it only has three buttons so it's not confusing. I loved Dear Esther, but Proteus bores me. It's sad to realize that I need a little bit more hand-holding than I thought. I couldn't find the stupid key areas that activated seasonal shifts, and spent way too long trying to enter that blocky house. But again, my kid adored the feeling of going through such a colorful world, with so many sounds, so there you go. I already commented on Hotline Miami when Jorqe wrote about it, but I still think you guys are a bit wrong about that game. It's not supposed to be a strategy game, where everything happens over and over again in the same way. The weapons and the paths they take are just random enough that you have to trust your skill. You are supposed to think on your feet every time, and you're even scored on it. It's not about finding the path that allows you to knock them all out from behind and bash their heads in with a bat. It's about a mixture of planning _and_ improvisation, of kicking doors in _and_ throwing katanas across the room. There's no SMB-like memorization needed. At least that's how I play it, and it's been very fun. It sounds like I'll have to keep digging into Hotline if I'm to get to the point where the world doesn't feel janky to me. I mentioned my thoughts on the game to a co-worker too and he claims I just don't see the detail, or in that case the pathing of enemies, clearly enough. I'm still not entirely sure that's my fault, but I'm sure to revisit it. Thanks for covering this Bundle, as it finally persuaded me to try some of the games in it. Specifically, I talk of Hotline Miami. I agree with the other commenter, David, in that it's an interesting hybrid of a game that mixes strategy and improvisation, as both the weapons available and the exact enemy movements during a "run" are not totally predictable. This probably adds to the "luck" factor Jorge mentioned, but I think it livens up the game in a unique way. I definitely feel better at the game the more I play, mainly because I'm better at reacting to the enemies. One of the best parts of the game is the music, though. To crib from a friend's observation, the gameplay is kind of the embodiment of it, as they go together so well.